The idea of discipline is a facade in front of the absolute chaos of human rights violations, abuse of power and embezzlement. The escapes from Sofia Prison have hit the media and society like a storm and the only version of events to flood the media is the censored version given by the Ministry of Justice. 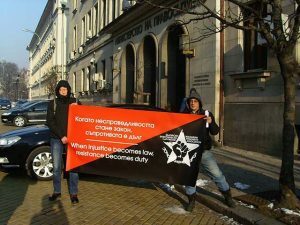 The Bulgarian Prisoners’ Association (BPRA) will attempt to break the walls of disinformation that the Ministry of Justice is trying to sell you. Firstly, the public should know that the BPRA and other concerned members of the public on the 26th January 2018 warned the Vice-Minister of Justice (responsible for prisons) Nikolai Prodanov in a meeting about the danger of having approved Peter Krestev as Director of Sofia Prison again after he was dismissed after the last escapes in 2014. Especially as one of the prisoners reported paying the Director for the job that put him next to a boundary wall from where they escaped. The Vice-Minister of Justice Prodanov defended and supported the then Director Peter Krestev despite massive amounts of reports documenting the corruption under Krestev’s administration. The Director Peter Krestev was infamous amongst the prison community for being overly repressive within his prisons and many people in the Ministry of Justice and Bulgarian public like the idea of a hard Director that torments prisoners under his authority, but the problem of such a man and regime is that in order to be so repressive one must also violate the same laws that legitimise the authority that is being used. The idea of discipline is a facade in front of the absolute chaos of human rights violations, abuse of power and embezzlement. Guards under Krestev’s command had absolutely no self control or discipline, and Krestev liked the environment of chaos as when there are explosions of violence he blames the prisoners and tells everyone how dangerous and bad prisoners are. At the same time he used the chaos he created to justify demanding extra money from the government, which was then embezzled. The guards under Krestev were torturing so many prisoners systematically that the Committee for the Prevention of Torture (CPT) demanded that cameras be installed around the infamous places where prisoners were tortured, not to secure the prison from the prisoners, but to secure the prison from the guards. The Ministry of Justice is lying when they say that in the prison the guards do not have access to weapons, but here is a photo of prison guards training with firearms on a Ministry firing range it can be easily found in the news article here: http://vevesti.bg/153457/otkriha-strelbishte-v-zatvora-v-pleven/). Where the Vice-Minister is quoted as saying “With the opening of the first licensed shooting range, the training objectives of the firearm training of the correctional officers are fulfilled. In addition, financial savings are achieved because the fireplaces of the Ministry of Defense and the Interior Ministry have been used so far, “said Deputy Minister of Justice Prof. Nikolay Prodanov at the opening of the site”. Not only do they have access to weapons in the weaponry, but they also have access to electric taser guns and batons which the guards have used to torture prisoners with see the complaint that the BPRA sent to this Ministry last year here. After Peter Krestev was dismissed as Director of Sofia Prison amidst a flood of allegations of human rights abuses and corruption, the new Director Yolant Yordanov reformed the prison and improved the security in such a way that hadn’t been done for over 25 years. The Director Yolant Yordanov in 2015 and 2016 installed new security door with electronic locking and fortified glass on windows where prisoners had to speak with guards and visitors. But during the escape all of these security measures that had been installed in 2015 and 2016, were not locked or secured in 2018. In fact, the escape occurred with no less than 8 major failures of security, all of them due to undisciplined guards which the Director not only knew about but encouraged. 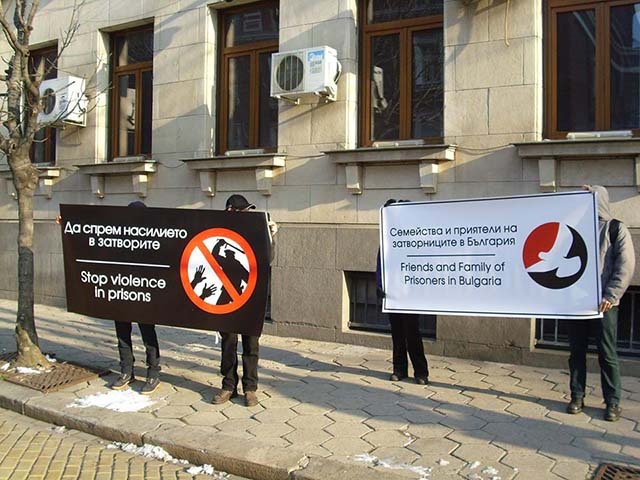 There are two main styles of prison management in Bulgaria one where the guards run the prison and another where the administration runs the prison. Peter Krestev not only allowed the guards to run the prison, he encouraged it. Between the groups and the next control post, control Post № 3 there is a heavy security door that was installed during the upgrades in 2015 and 2016, this door however was always left open by the guards as they are too lazy to open it every time someone passes despite this being the prime responsibility of the guard in Post № 3 has. All the staff and prison management knew that this security door was always left open because they themselves used the door regularly. At the Post № 3 there is a large walk through metal detector, prisoners are made to walk through it and if it detects metal the prisoner is taken by a guard and searched with a hand held metal detector, exactly the same procedure as in an airport. After that the 2 escapees went to the package collection room. This room also underwent security upgrades as part of the reforms in 2015 and 2016. The windows where prisoners have to receive packages are in two parts, one window is large, but another is small, similar to the little hole in the window for bank tellers. All the windows are locked and only the guard on the inside has a key. Instead of opening only the small window where a person cannot possibly get through, the guard has unnecessarily opened the largest window that is basically half the size of a door. After exiting through the large window in the packages room, the two prisoners are now in the administrative part of the prison. Here is where things get even more absurd. Here there is another control post, Post № 2. The guard in Post № 2 sits in a guards’ security booth that is as strong as a tank. However, what does it matter if the tank you are sitting in has the door open? That’s right, the guards in this post always keep the door open and the door is basically one entire wall of the box. This gave direct access to the two who escaped to threaten the guard with a knife and make him press the button to open the front door of the prison. Contrary to the lies spread by the Vice-Minister of Justice Nikolai Prodanov in the media, guards DO have weapons in the prison and the entire armoury of weapons is kept close to Post № The guards not only have pistols in their armoury but also, they have automatic Kalashnikovs. Guards are also trained in how to use the AK47. After leaving the front door of the escapees had to pass ‘Control Post № 1’, again this post door is almost always left open giving the escapees access to the guard inside and forcing him to open the last gate to the streets. Prison staff are allowed to carry personal side arms when they come to and from work and so outside of the prison would have had many staff with their personal weapons. The guards that guard the perimeter of the prison all have Automatic Kalashnikov rifles, yet not a single one of them was in the vicinity of the entrance to the prison. If any one of these failsafe measures had been performed correctly by guards under good, strict and disciplined management the two prisoners could not have escaped. But this is a common misconception that to torture prisoners is the same as discipline and security and actually nothing could be further from the truth. It sounds like common sense but apparently people like Krestev and the Vice-Minister Prodanov cannot comprehend the simple concept of ‘stick and carrot’. Funnily enough the same means of management apply to prisoners and the prison staff. When prisoners and staff are fulfilling their duties, they should be rewarded and when not disciplined. Director Peter Krestev gave lots of punishments to prisoners and basically no rewards and for the staff the opposite was true, too many rewards and no punishments. How many guards did the Director Peter Krestev punish for torturing prisoners? How many guards did the Director Peter Krestev punish for abandoning their posts or leaving security doors open? The answer is simple, ‘none’, because instead of demanding professionalism and fulfilment of duties according to the law, Krestev was comfortable with guards tormenting prisoners. The truth is that the guards ran Sofia Prison, not the absentee Director. The lazy and undisciplined guards are a major human rights issue as it often leads directly to human rights abuses. Ironically the guards have been demanding more money despite them being one of the highest paid employees only needing high school education, we have been trying to educate the public for the problem with the guards for some time please see our previous text on the realities of being a prison guard in Bulgaria here: http://bpra.info/en/the-truth-about-prison-guards-in-bulgaria/. There have been 5 escape attempts in Sofia prison in the last 8 years, 3 of them were stopped by other prisoners and the other 2 were successful, technically this means that the guards haven’t prevented a single escape ever. Another major problem is the 24 hour work shift that the guards have unlike anywhere else in the EU. Despite Europe telling the Ministry of Justice that the 24 hour sift for guards must end, the Vice-Minister Nikolai Prodanov supports the 24 hour shift system and this means that guards are almost always tired at work and incapable of functioning correctly. The BPRA last year warned the Ministry of Justice about the problem with the 24 hour work shift which can be found here. Using YOUR tax money, the Director Peter Krestev TOGETHER with the Vice-Minister Prodanov came to Kazichene prison to party, where massive amounts of expensive alcohol and food were consumed. The vice-Minister and the Director Krestev are served by prisoners and it is prisoners who cook the food for them like slaves serving kings. These “banquets” are organised regularly by the bosses of the prisons in Sofia and even the Vice-Minister Prodanov has been known to join and every time the prison authorities organise these banquets of debauchery where they have in the past even hired half naked Go-Go dancers all the prison staff including the guards become slack at their jobs and essentially work stops in the prison for that day. For sure the banquet paid for by the taxpayer had a direct impact on the lax security in Sofia Prison as all the management staff were either planning or on their way to travel to Kazichene to get drunk. The parties paid for by the taxpayer are clear signs of misuse of power that go as high at least to the vice-Minister Prodanov himself. After the Director Krestev essentially piled the Vice-Minister with expensive food and alcohol, is it any wonder the Vice-Minister refused to take action against the clear and obvious corruption in Sofia Prison? Although GERB no doubt carry responsibility, it should be noted that Peter Krestev was re-appointed during the BSP/Radev temporary government in April 2017 which BPRA wrote about here: http://bpra.info/en/bsp-and-the-mining-of-the-republic-the-bloodless-coup/ after the same BSP/Radev government fired the Head of Prisons and the then Director of Sofia prison. It is extremely ironic that BSP is blaming the government and demanding resignations when it was the President Radev government that re-appointed one of the most corrupt Directors after he was already dismissed. Furthermore, although BSP and President Radev were responsible for the reappointment of Peter Krestev as temporary acting Director, it was the Vice-Minister Nikolai Prodanov as part of the VMRO quota in ministries who made the appointment permanent. How the government can ask for the resignation of the Director of Sofia Prison and not the Vice-Minister who appointed him despite our warnings is a question that should be asked by the public. When Kornelia Ninova stated that the policies of BSP are closest to those of the United Patriots, I guess when it comes to appointing corrupt and undisciplined staff into positions of power she was correct.